Singer and pianist known as one half of the popular musical comedy duo Martha Davis & Spouse. She released several Top 10 hits, like 1948's "Daddy-O". She got her start singing and playing piano in local Chicago nightclubs during the 30's. She died from cancer at the unfortunately early age of 42 while living in New York. 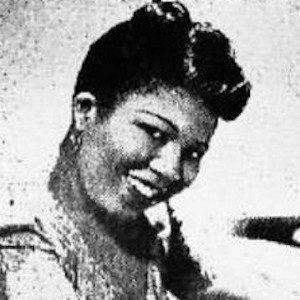 She married bassist Calvin Ponder, who played in the band lead by Earl Hines. She and her husband performed as Martha Davis & Spouse on TV programs like CBS' The Garry Moore Show during their heyday.